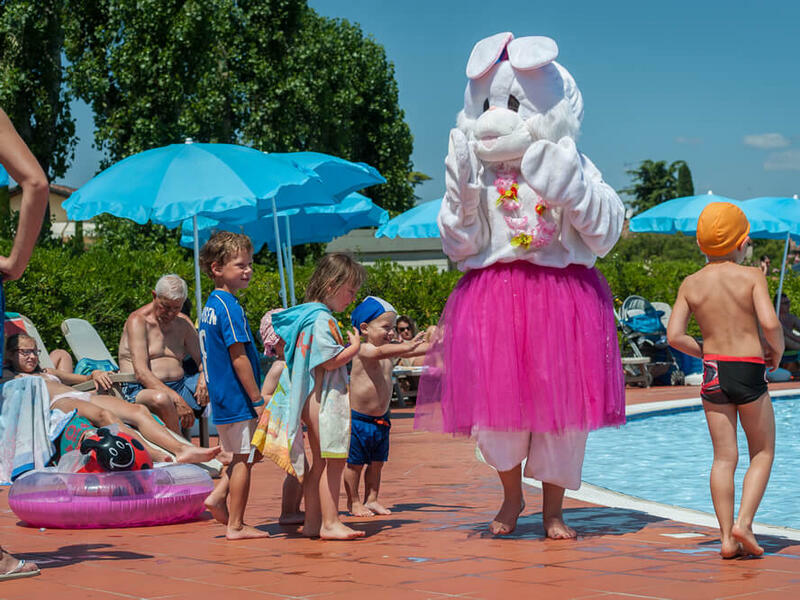 San Francesco is the campsite with animation and various sport fields: a dream place for children and adults in Desenzano. 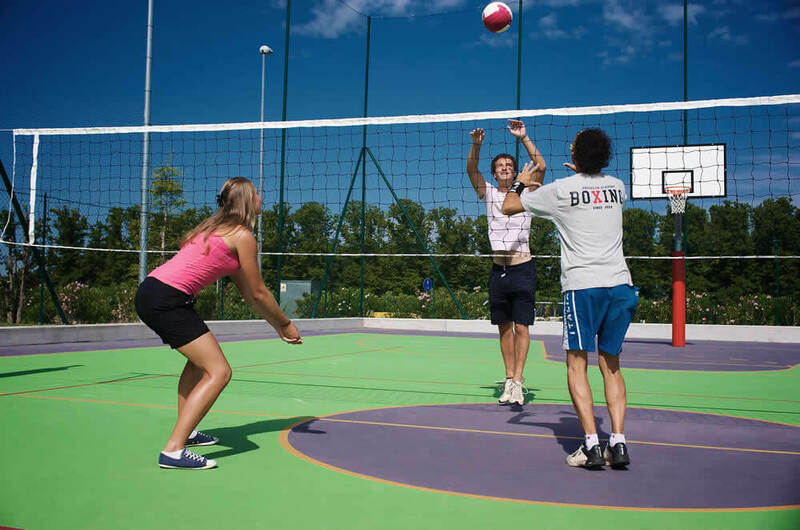 Get involved with our animators and take part in the soccer, beach volleyball, tennis, table tennis and basketball tournaments, or stay in shape with aqua gym and walks in the green areas. 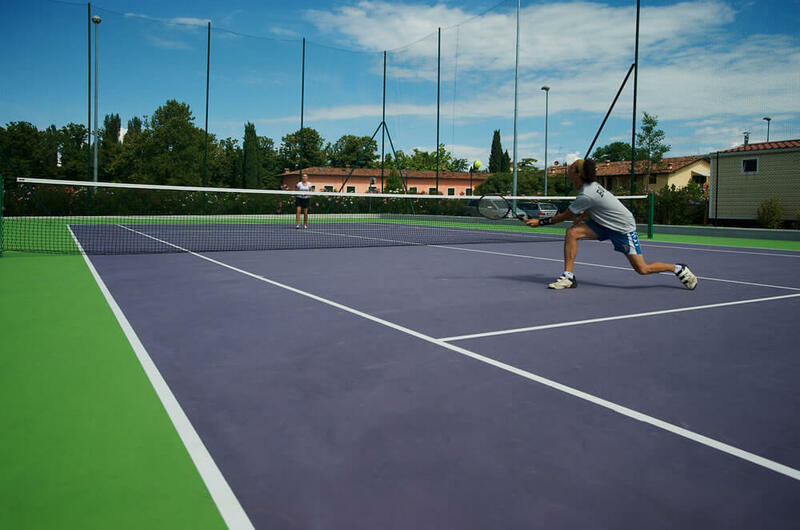 Enjoy our tennis field for a match with your friends or family (rackets and balls available at the reception). Keep fit with the aqua gym lessons or go for a walk in the gardens. Remember to book a tennis field for a match with your friends or family (bookings are made at the reception office). The ‘mini club’ programm has lots of exciting events for younger children. There are activities for older children during the day and shows, live music and theme parties in the evening. Follow our entertainers and join in the football, volleyball, tennis, table-tennis and basketball tournaments. Service available from 08/06/19 to 07/09/19. Keep fit with the aqua gym lessons or go for a walk in the gardens. Remember to book a tennis field for a match with your friends or family (bookings are made at the reception office). The ‘mini club’ programm has lots of exciting events for younger children. There are activities for older children during the day and shows, live music and theme parties in the evening.